The election of Chapter 13 increases options available when filing bankruptcy. In exchange for at least partial payment on all debts, the added benefits in Chapter 13 frequently make it the best choice. You may include back taxes, past due mortgage payments and a wide variety of priority debts in the plan. The partial payment required may be minimal. In many cases, the percentage payment on unsecured debts is less than 5%. For a minimal payment, you may avoid tax seizures and home foreclosure. Each person who is experiencing financial difficulty presents a unique set of challenges. Income, goals and necessities vary in each situation. Nevertheless, a solution exists for all financial problems. 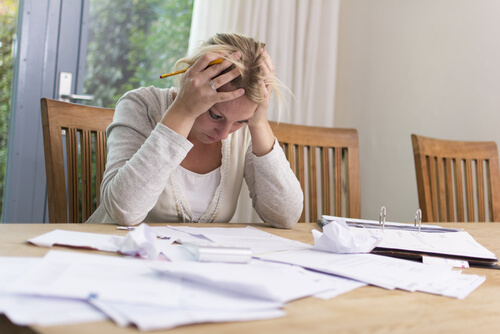 You may avoid filing bankruptcy if acting early. You may settle unsecured debts easily for less than 50 cents on the dollar without filing. You may need to file at some point in the future to gain the protection of the automatic stay. Keep your options open. All people must pay income tax in all situations. The IRS receives a super-priority. These important debts may lead to the seizure of assets, including exempt property, if taxes remain unpaid. Chapter 13 is unique in that past due taxes are considered current when included in the plan. All tax seizures and levies must stop and the IRS must accept the plan payment. You may spread payment over five years. Additionally, each person has a right to convert a Chapter 13 case to Chapter 7 if qualifying under the means test. This option becomes quite valuable if taxes are repaid and only unsecured debts remain in Chapter 13. In addition, during the time a Chapter 13 cases is pending, each debtor has power within their grasp to make small changes in their lifestyle. These changes may influence the means test result and later qualify any debtor to convert to Chapter 7. You have an amazing variety of options and alternatives provided by law. The secret for using them wisely is to become familiar with each option. When you compare the real cost and actual benefits of each option, in a side by side comparison, you may be shocked by your potential results. Misinformation regarding debt relief options is common. The only way to know, with certainty, the value of your options is to compare them over an equal time period. You must use actual costs and realistic assessment of available benefits. Not all people qualify for all options. This comparison is far easier than most people realize. You do not need an account or financial analyst to help you. You do not need an attorney to calculate the means test if you use a well prepared custom form. You could perform these calculations within the comfort of you home with the next few days. The author enjoys all inquires about bankruptcy strategies, and advanced options using a chapter 13 bankruptcy strategy in combination with other alternatives. Custom means test forms are available.